When I opened the box and pulled out the bag, I was thinking “what the ?” The zipper for the main compartment is on the part of the bag that goes up against your back. I don’t know if it was LowePro‘s idea or not, but I would think that this will keep water out of the main area your camera is stored in. 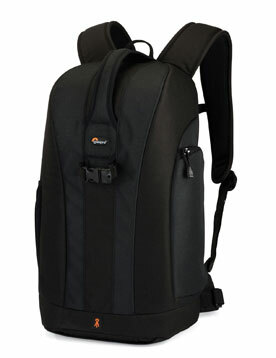 Good thinking, LowePro. 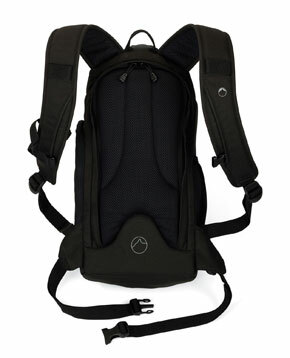 The bag also has chest and waist straps for secure and comfortable travel. The padding on this bag is also quite impressive. I wore it for four or five hours on the motorcycle and it was very comfortable. When you open the main compartment, there is room for an SLR body with a lens attached (up to 300mm) and 1-3 additional lenses. There is a zippered pouch in the main compartment that lets you store memory cards, chargers, cords, or whatever you want to put in there. It is attached with velcro and can be moved or even removed if you want more space. With the bag open, the flap that swings down has a large zippered pocket in it. I am using this pocket to store filters and even a small notebook. 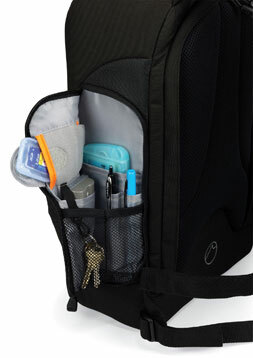 There is a handy media pouch on the outside of the bag that zips open to allow storage of pens, keys, and two velcro memory card pouches. There are two small pockets inside the media pouch as well. On the other side of the bag, there is a mesh pouch that I used for carrying a water bottle. On the front of the bag, there is a really handy, durable grab handle built in. It is heavy duty with a textured under side to prevent slipping. 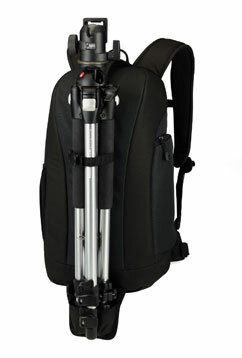 Also on the front of the bag is a strap to tie down a tripod. 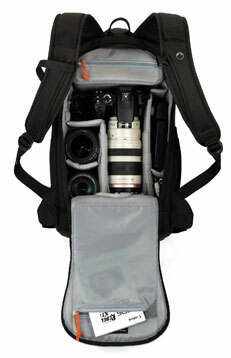 At the bottom of the front of the bag, there is a velcro pocket that hides a tripod holder. The tripod holder holds the tripod in place and works in conjunction with the tie down strap. -I haven’t found any yet. I really love this bag. It is perfect for the amount of equipment I have and for using while I am on the bike. This is a bag I would really like to own. If you are in the market for a compact bag with plenty of room for a camera, two or three lenses and some miscellaneous other accessories, this might just be the bag for you. 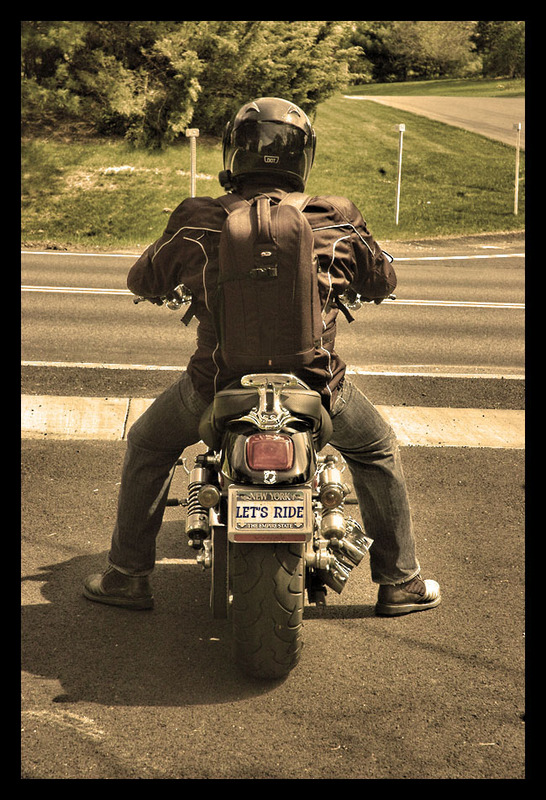 I highly recommend checking this bag out. 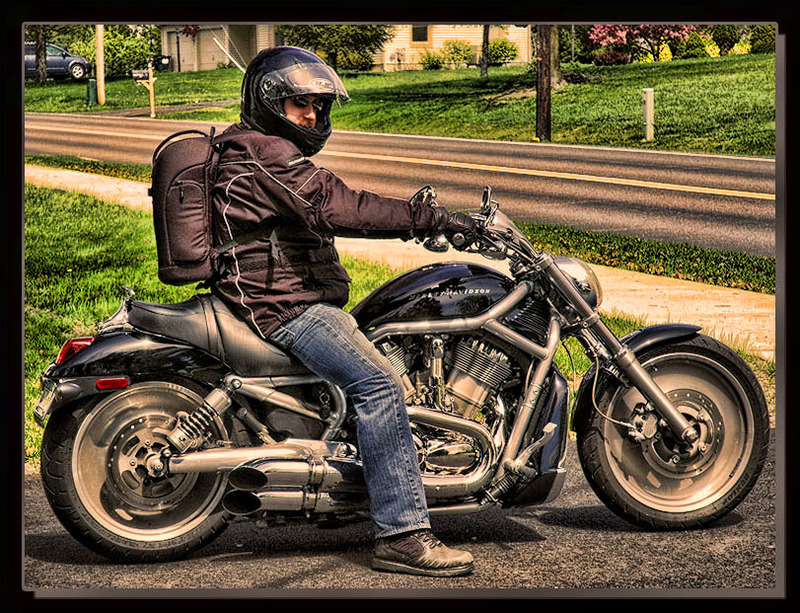 Here are a few pics of the bag in action.